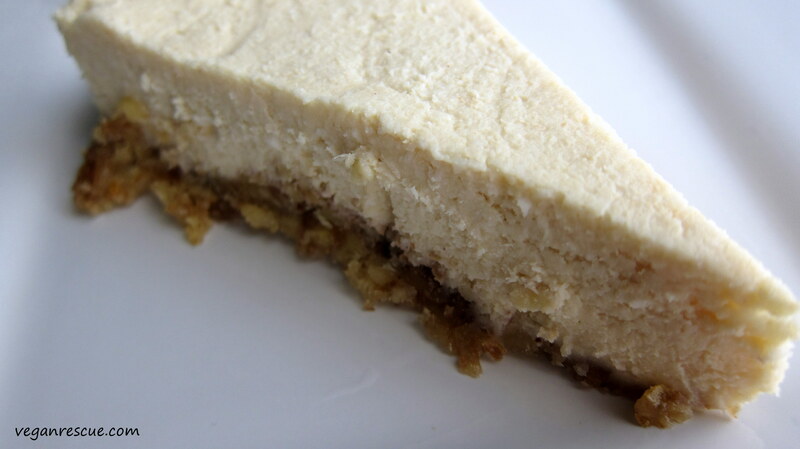 This cheesecake is deliciously creamy with a great texture. 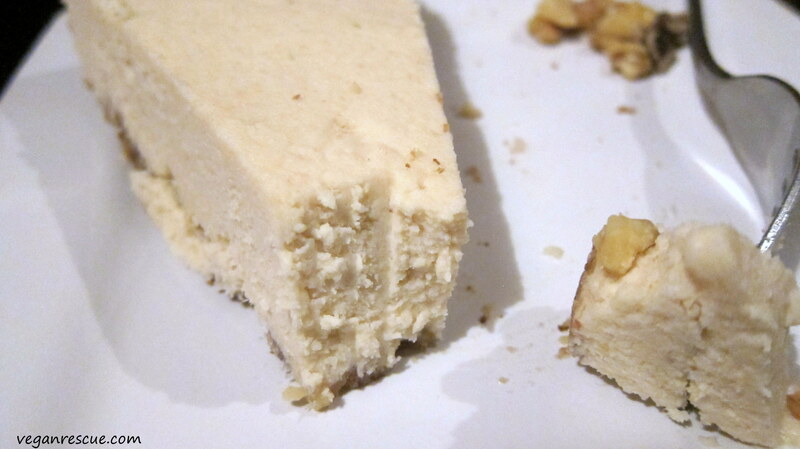 It seems there were some mixed feelings about this cheesecake, I’m thinking because of the acidity. I really enjoyed it as did Jasmine, I thought it was fresh and light. My husband although he liked the flavor he didn’t care for the acidity too much. If it makes you feel better coconut oil is neutral, young coconuts are alkaline while the pineapple is acidic, so I like to think there is some balance. 🙂 More raw cheesecake recipes to come. You be the judge, enjoy! 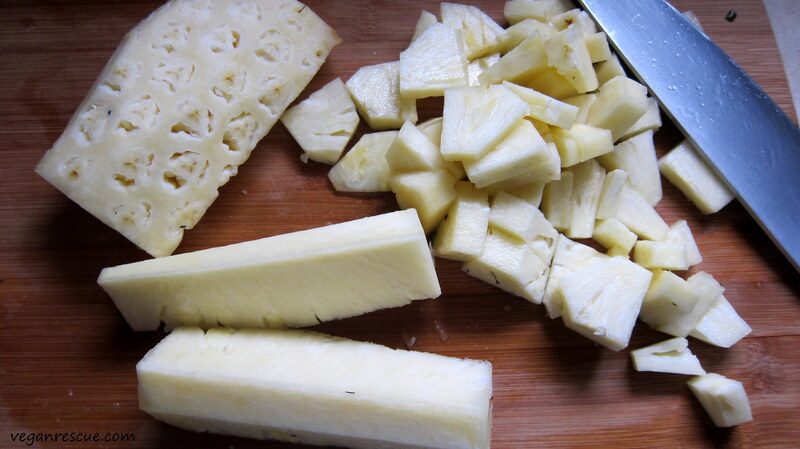 -In a food processor pulse pineapple, coconut meat and cashews until blended. Add remaining ingredients and continue to blend until smooth. Notes: If you have a high speed blender with a large capacity, just blend all the cheesecake ingredients in the blender). However, I used the food processor in combination with my nutribullet. I blended the mixture in my nutribullet in batches until smooth. 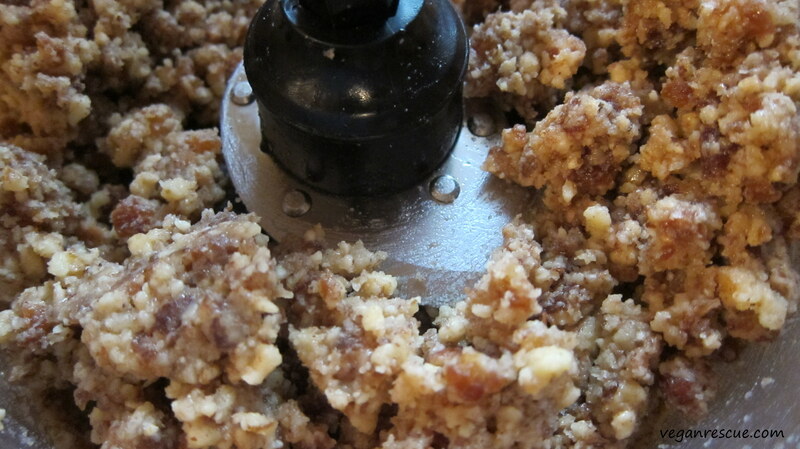 -Press crust in bottom of springform pan. 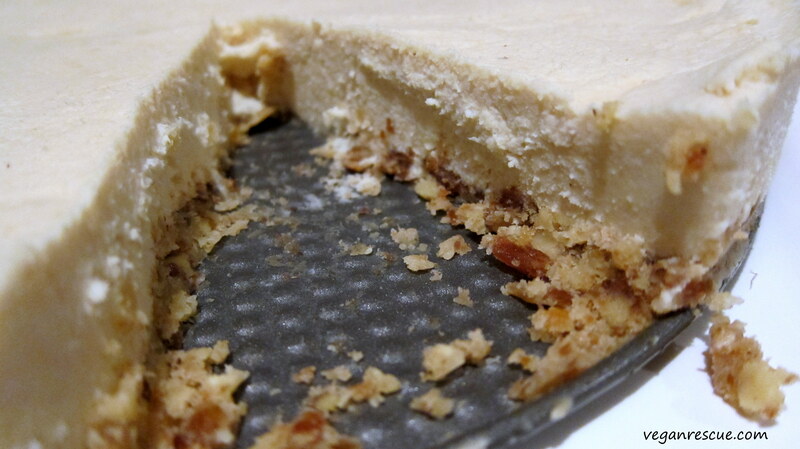 Add cheesecake mixture on top – smooth and refrigerate until firm. I refrigerated overnight. Looks amazing! 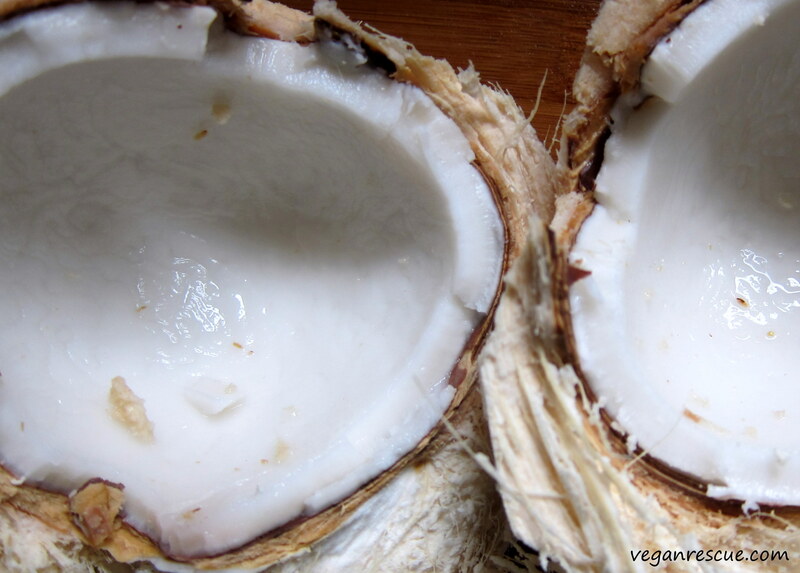 I can’t get hold of young coconuts though – do you think it would make a big difference to use a regular coconut? I think I’m gonna try this one out some time! Thank you so much Dave, that’s fantastic! I checked your recipe out too. Love it – great addition of the peanut butter.